The outstanding trekking Tsum Valley Trek lead to the untouched treasure of Nepal – Tsum Valley, the place offers with amazing landscape along with its unique culture and tradition. Tsum Valley is situated in the northern part Gorkha district and to the east of Manaslu. Trekking to Tsum Valley was opened for trekking from 2007, before, the valley was restricted area. The place is so unique with the Himalayas surrounding such astonishing hidden valley. Tsum Valley, the Himalayan Valley, is the fine place where one can experience the lifestyle of traditional Sherpa’s culture and can also have the breathtaking views of snowcapped mountains. As the place is situated in Nepal-Tibet border so, the place was much influenced by Tibetian Buddhist from the beginning. So, local people are mostly of Tibetian tribe and have their own unique dialect. Many pilgrimages travel to this secret place to witness the extra arts, culture and traditions and also the numbers of monasteries. Tsum Valley has a long history of its origin. The place is well preserved till date by the local community. As the government intervention hasn’t played such positive response to Tsum Valley due to remoteness and inaccessibility. This interesting trekking – Tsum Valley Trek starts with the scenic drive to Arughat Bazaar from Kathmandu. The different ethnic groups with beautiful small market make Arughat Bazaar as the first spot for overnight. The trek then leads to Sotikhola (700m/ 2297ft) and to Machakhola (869m/ 2852ft), the narrow trails of these two villages with the beautiful trees and surroundings make the place extra. Then the trek leads to the beautiful place Dovan (1070m/ 3511ft) which is famous for its natural beauty and culture. On the way to Tsum Valley, crossing through the suspension bridge along with forest and panoramic view of mountains takes to Philim (1570 m/ 5151 ft). Same like other villages which are rich in natural aspects and culture, Chumling (2386 m/ 7829 ft) and Chhokang Paro (3031 m/9945 ft) delivers their gems in front of outsiders to get enjoy with such opulent aspects. Nile (3361 m/11027 ft) will be the next attractive destination where the trail gets nearer to Tibet border. The Gumbas and tradition/lifestyle of local people makes the place interesting. The next place will be Mu Gompa (3700 m/ 12140 ft) which will be the highest point of the trek. One full day is included in the trekking package to explore in and around Mu Gompa. With the great experience at Mu Gompa, the trail follows the down stepping hike through Ranchen Gompa (3240 m/10630 ft) – Philim – Tatopani (990 m/3249 ft) and SotiKhola to the ending point of Tsum Valley trek, Arughat Bazaar. This will be the perfect opportunity to discover the secret Tibetian Buddhist territory which is rich in ancient culture and tradition in addition with it the mesmerizing views of mountains, hills, and hillocks, etc. 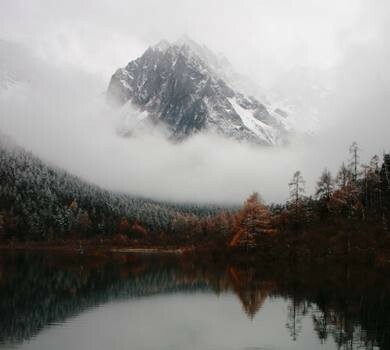 create additional taste in trekking to Tsum Valley – a hidden valley. The box up package of 19 days Tsum Valley Trek bestows with the perfect combination of natural and cultural aspects. The trek can be customized as per one’s interest and time frame. The weather condition plays a prime role for every trekking route so for Tsum Valley Trek the perfect time are September to November (Autumn) and March to May (Spring) and also can be enrolled during January, February, and December. This amazing trek to such culturally important and hidden place – Tsum Valley let one create unforgettable moments of a lifetime. The team of Massif Holidays will guide to make the trek interesting and memorable. UNESCO World Heritage Site tour in Kathmandu – Swyambhunath, Boudhanath, Pashupatinath, and Kathmandu Durbar Square. Scenic drive from Kathmandu to Arughat - Kathmandu. Stunning view of Manaslu & Ganesh Himal. Unique trek for those who wish to explore a remote and visually breathtaking the region in a sensitive way. Experiencing the different ethnic communities and their lifestyle. Walking through the Natural Trekking Trails. 18 Breakfast, 15 Lunch and 16 Dinner. Day 03: Drive to Arughat Bazaar (608 meters). About 7 hours. Overnight stay at Guesthouse. Day 04: Trek to Sotikhola (700 meters). About 6 hours. Overnight stay at Guesthouse. Day 05: Trek to Machhakhola (869 meters). About 6 hours. Overnight stay at Guesthouse. Day 06: Trek to Dovan (1070 meters). About 5 hours. Overnight stay at Guesthouse. Day 07: Trek to Philim (1570 meters). About 5 hours. Overnight stay at Guesthouse. Day 08: Trek to Chumlimg (2386 meters). About 6 hours. Overnight stay at Guesthouse. Day 09: Trek to Chhokang Paro (3031 meters). About 5 hours. Overnight stay at Guesthouse. Day 10: Trek to Nile (3361 meters). About 6 hours. Overnight stay at Home Stay. Day 11: Trek to Mu-Gompa (3700meters). About 4 hours. Overnight stay at Gompa. Day 12: Exploration at Mu-Gompa. Overnight stay at Gompa. Day 13: Trek back to Ranchen Gompa (3240 Meters). About 6 hours. Overnight stay at Home Stay. Day 14: Trek back to Philim (1570 Meters). About 7 hours. Overnight stay at Guesthouse. Day 15: Trek back to Tatopani (990 Meters). About 6 hours. Overnight stay at Guesthouse. Day 16: Trek back to Soti Khola (700 Meters). About 7 hours. Overnight stay at Guesthouse. Day 17: Trek back to Arughat Bazaar (608 Meters). About 5 hours. Overnight stay at Guesthouse. Day 18: Drive back to Kathmandu. Overnight stay at Hotel. Annapurna Conservation Area permits and Special permit for Manaslu trekking. Drive from Kathmandu –Arughat Bazaar -Kathmandu by public transportation. The family trip along with children under the secure and favorable suggestion of the Massif Holiday's expertise. The listed optional facilities for the trek within Nepal are not included in the trekking cost. As per guest choice and demand for extra facilities or services some amount will be added to the trekking package cost. You can include the other extra facilities and services in your trek package consulting with the crew member of Massif Holidays.